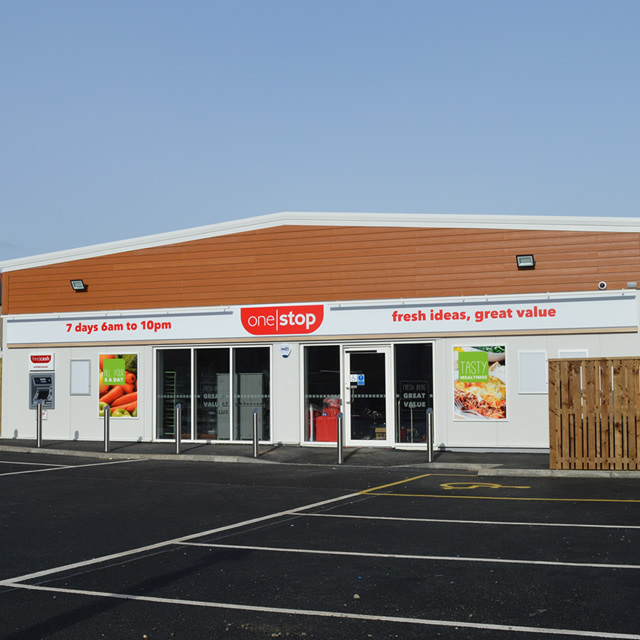 CM Steel Buildings had been in discussion with OneStop Convenience for a number of months tailoring concept designs for roll out Nationwide. These discussions focused on modelling and optimising floor space and design as well as being sympathetic to the impact on the existing environment. The building was constructed as cold rolled galvanised steel frame with a mixture of cladding selections. The mixture of cladding provided optimisation for the buildings performance as well as being sympathetic to neighbouring residential developments. The site was brownfield with the previous concern a car mechanics. We provided a harmonious build within a highstreet setting. 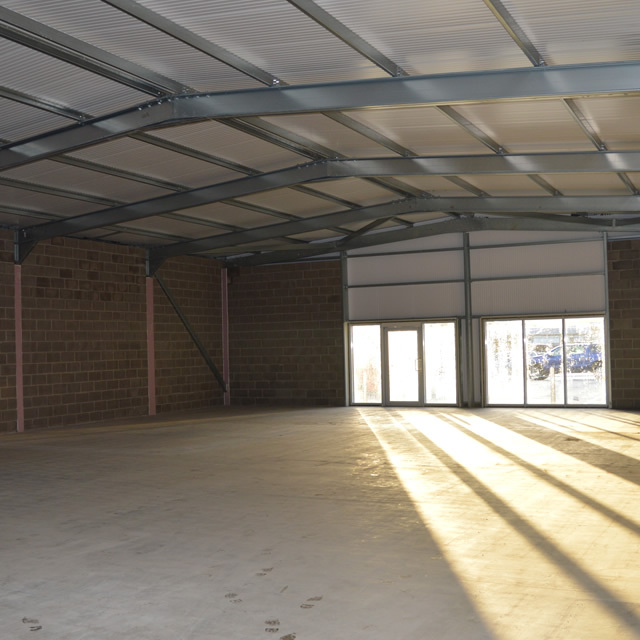 Total GFA of build was 3,200ft2 (300m2) and is a mix of retail space, back of house and plant room.